So You Think You’re a Philadelphia Phillies Fan? tests and expands your knowledge of Phillies baseball. Rather than merely posing questions and providing answers, you’ll get details behind eachstories that bring to life players and managers, games and seasons. Who is the Phillies’ career leader in slugging percentage and OPS? Who holds the longest hitting streak (36 games) in team history? Which pitcher holds the records for most complete games and hits allowed? In what year were the team records set for hits , doubles, and runs scored? Who was the last Phillies pitcher to win the Cy Young Award? 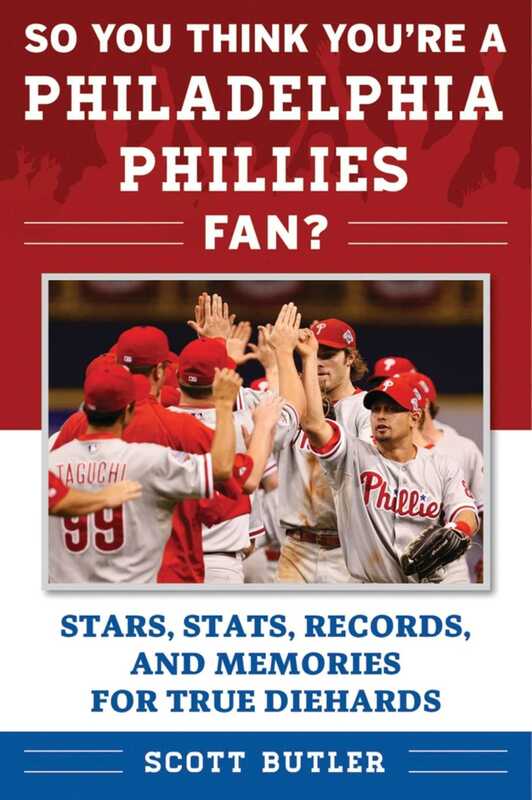 This book makes the perfect gift for any fan of the Phils! Book Cover Image (jpg): So You Think You're a Philadelphia Phillies Fan?